Do you need to improve your business' cash flow situation? Want to free up cash to pay down debt or even expand your operations? 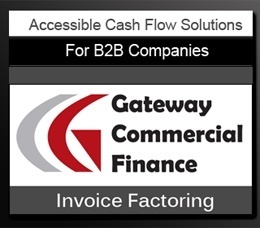 One of the most effective ways to improve your cash flow is to lengthen your payment terms with vendors and suppliers. If you’re on net-30 right now, why not try and get up to net-60? Or even net-90? Adding time onto your payables schedule is the equivalent of getting a short-term loan. You get to keep the cash in house while you continue to collect revenue. That gives you the ability to put your cash to use in ways that can add to your bottom line. How do you do it, though? If you’ve never asked your vendors for better payment terms, you may feel like it’s unlikely to be successful. That’s simply not the case, though, especially if you have a good relationship with the supplier. They value your business, which means they’re likely to at least consider the request. Start now with good communication. What’s your relationship like with the supplier? Do you talk frequently? Do you have an open line of communication? The better your relationship, the more likely the vendor is to consider the request. Start building better relationships with all your vendors. Take their calls. Reply to their emails. Set up a meeting or conference call to learn more about their business and how you can work together more profitably. Remember, the best time to negotiate better terms is when you don’t have an urgent need for them. Start investing in that process today. Understand their business and speak their language. It helps if you can have an informed and intelligent conversation with them about your proposal. If you understand their business, you’ll be in a better position to explain why the proposal is good for them. For example, let’s say you work with an IT company. Do you know which services generate the most cash flow for them? Perhaps they really only care about your hosting and server needs and the other services they provide are just loss leaders. Understanding their business can help you better negotiate with them. Make your proposition mutually beneficial. If you have a great relationship with the supplier, they may be willing to do you a favor just because they’re generous. However, they’re much more likely to bargain if they’re getting something back in return. Think about what you could offer in exchange for a longer payment term. Will the freed up cash allow you to grow your sales, thereby increasing your order volume from the supplier? Will you use that cash to pay down debt, increase margins, and move into higher price products? Frame your proposal in a way that makes sense for both sides. Of course, there’s always the chance that your supplier won’t consider your proposal. Think about this outcome in advance and how you might respond. If the longer payment terms are critical to your plans, then you may need to have backups lined up. Contact those backup suppliers in advance and see if you can get favorable payment terms from them. Then you can use that information as a negotiation point. 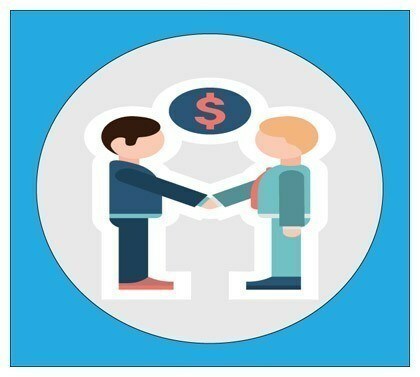 If you mention that a competing supplier has agreed to meet your terms, your supplier may be more willing to consider the proposal. This goes back to the point about having a good relationship with the supplier. If they’re truly a trusted partner for your business, there’s no point in lying about the reason why you want the extended payment terms. If you need better terms because you’re in a cash crunch, simply tell them that. They’ve likely been in that exact same position before. They know what it feels like. What’s more, if they value your business, they want you to be successful. The last thing they want is for you to go out of business because that means they’ll lose a customer. Honesty and transparency can go a long way in these conversations. Yes, there are some companies that have net-90 or even net-never payment terms with their suppliers. They usually go by names like Wal-Mart or Home Depot. In other words, they’re massive companies that sell so much business that they can pretty much demand any terms they want. Just because other companies have those kinds of terms doesn’t mean you’re in position to ask for the same thing. If you’re at net-30 now, try to get to net-45 or net-60. Don’t go straight for net-never. Your vendor isn’t likely to take your proposal seriously if it’s not reasonable. Consider how much volume you order from the vendor and how that may compare to their other customers. Also consider what’s normal in your industry. If those two considerations don’t support your proposal, you may be a little unreasonable in your expectations. Make sure you’re talking to the right person. Finally, be certain that you’re talking to the person who can make the decision. Your salesperson probably isn’t the right person. Unfortunately, they also may not be helpful in passing you on to the correct individual. Ask your contact who is responsible deciding payment terms and then reach out directly to that person. It’s probably the company’s national sales manager or maybe even their COO or CFO. They’ll know the company’s numbers and cash situation and will be in a better position to seriously consider your request. The great thing about improving vendor terms is that it’s a way to improve your cash flow without dinging your credit. Don’t pass up this option the next time you’re in a cash crunch.